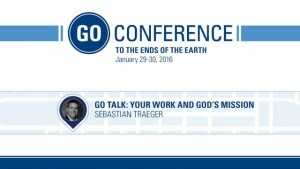 Sebastian Traeger, Executive Vice President of the International Mission Board, talks on how we can take the gospel to our everyday lives. 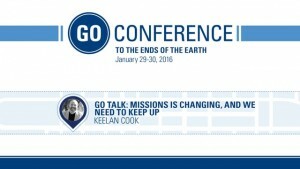 Keelan Cook, Urban Resource Coordinator for Southeastern Baptist Theological Seminary in Wake Forest, NC, speaks to how the nations are coming to us and how we may engage them. 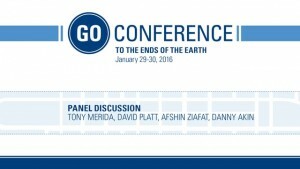 Tony Merida, David Platt, Afshin Ziafat, and Danny Akin come together to discuss different perspective of christians and what their call for mission may look like. 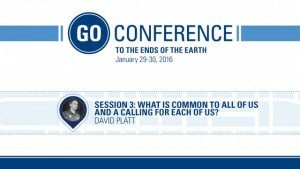 David Platt, President of the International Mission Board, preaches from Romans 15 on where to begin in your mission field. 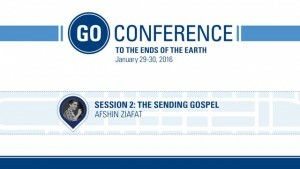 Afshin Ziafat, Lead Pastor of Providence Church in Frisco, TX, preaches on how our faith is to be one that sends us on mission. Danny Akin, President of Southeastern Baptist Theological Seminary in Wake Forest, NC, uses the story of Jonah to show us how our God is a missionary God. 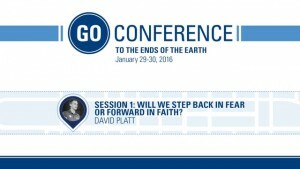 David Platt, President of the International Mission Board, preaches on if we will step forward in faith or if we will sit in fear.